Shannon’s love of dance began when she started ballet at 3 years old. Over the years she participated in many different styles of dance and is still dancing today! Shannon began teaching dance at the age of 15 and went on to work for a private company that brought dance, gymnastics and acrobatics to primary schools in her local area. 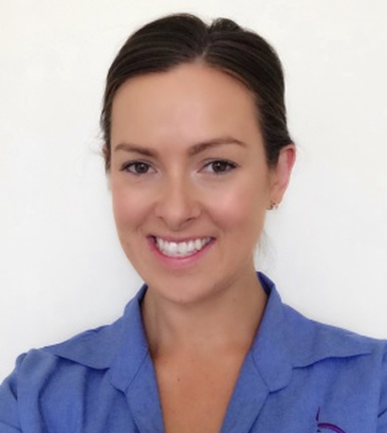 Her interest in human movement and anatomy eventually led her to Sydney University where she completed a Bachelor of Exercise and Sports Science (Exercise Physiology) and a Masters of Physiotherapy. Since then, Shannon has worked in both the public and private sector and has worked at Southside Physiotherapy & Sports Injury centre for the past 4 years. Shannon is currently undertaking further study to become a Titled Sports Physiotherapist and has completed her Level 2 training. She also has extensive experience in the use of Real Time Ultrasound for core stability training, which she also uses with her Women’s Health patients. Although Shannon’s interests lie in Sports Rehabilitation and Women’s Health, her true passion remains in Dance. For this reason, Shannon attended Lisa’s Dance Teacher & Practitioner training Workshop in September 2014. With Lisa’s expertise and experience, Shannon was able to bring together the knowledge and skills she has as both a dance teacher and physiotherapist to successfully treat dancers in her clinic.